Originally from Milan, after his first experience at Antica Osteria la Rampina in his hometown, Giuseppe Tentori decided to accept Gabriel Viti’s invitation to cook in his restaurant in Highland Park, Illinois. He was only 19 and this was the first in a series of important steps for one of our most popular chefs overseas. He also acquired lots of experience elsewhere: after Viti, he was sous chef at Metropolitan in Salt Lake City. Two years later he returned to what he now considers his home, Chicago, where for 9 years he trained in the restaurant of a certain Charlie Trotter, perhaps the most influential and enlightened chef in the local history of the town. In 2007 he accepted a post as executive chef at Boka: with him in the kitchen, the restaurant at 1729 North Halsted Street received a Michelin star for 4 years in a row, making it one of the most prominent restaurants in town. When he opened GT Fish & Oyster in Chicago, in March 2011, Tentori tried to convey his multi-awarded cooking techniques to a larger number of people while trying to redefine the concept of American fish restaurant. In 2014, he enlarged the brand that bears his initials with GT Prime, a restaurant based on great meat and on the fact clients share the same table. To him, local farmers and seasonal ingredients are a religion. 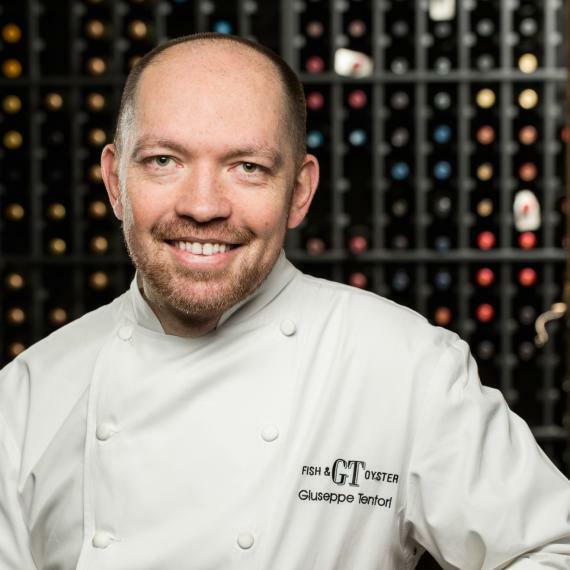 Among the numerous acknowledgements he received with GT Fish & Oyster, we recall the “Best new chef” from The Food and Wine, the nomination as “Best Chef: Great Lakes” from the James Beard Foundation, the 3 stars from the Chicago Tribune and the Chicago Sun-Times, the 4 stars from Time Out Chicago and the “Chef of the year” award received in 2011 from CS Magazine. Tentori is still the executive chef at Boka Catering Group, which supplies a high quality restaurant service to a series of important events.